We offer week-long mission trips throughout the year for groups of adults, college students, or high school students. 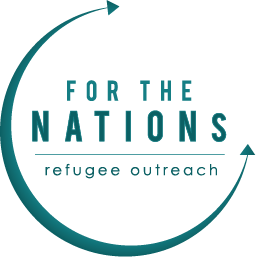 This is an excellent opportunity to see the ministry first-hand and be part of the daily programs we offer refugee families. Cost $150-250 per person, depending on the season. Lodging is provided for all trips; lunches are included for summer trips only. For more information, please contact Lauren Kirkpatrick, our Volunteer Coordinator. Please include the name of your church or organization, age range of the group, approximate group size, and available dates if known.